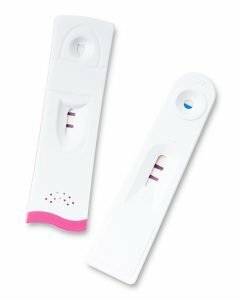 Share the post "What to Expect When Pregnant if You Have Fibroids"
Uterine fibroids refer to growths in the uterus that typically develop during the childbearing years of a woman. These growths are noncancerous in nature, but can result in a substantial amount of pain as well as other negative side effects for a woman. Since uterine fibroids develop in the uterus, it should be fairly easy to predict that uterine fibroids can have an impact on a pregnancy. While it is known that fibroids have an impact on pregnancy, the exact nature and specifics of this impact is largely unknown and differs from woman to woman. If you have fibroids, you may worry about the possible effects it could have on your pregnancy. Here is some information about what you can expect to experience when you are pregnant if you have uterine fibroids. Are fibroids able to cause infertility? Many women with fibroids speculate whether uterine fibroids can ultimately lead to infertility. Fibroids do often have an impact on fertility, but this impact varies drastically from case to case. The main factor that can serve as a predictor of the impact on fertility is the location of the fibroids. If the uterine fibroids are located in certain areas of the uterine cavity, they can actually distort the shape and size of the uterus. This is especially true if the uterine fibroids grow to become incredibly large in size. While fibroids in the wall of the uterus can also have an impact on fertility, this effect is usually far less severe in nature. Women who believe that they may have uterine fibroids should see a doctor sooner rather than later, especially if they hope to conceive soon or in the future. Those who have a family history of fibroids should definitely see a doctor on a regular basis to check for fibroids. Unfortunately, fibroids can grow at a fairly rapid rate. Therefore, it is a good idea to have these tumors dealt with before they possibly interfere with your fertility. In some cases, we reccommend that women with fibroids simply conceive as early as possible just in case their fertility changes in the future. While fibroids don’t always have an impact on fertility, it is far better to be safe than sorry. What risk do fibroids pose to health of me and my baby? Another question that many women with fibroids ask is whether the uterine fibroids will pose a risk to the health of themselves or the well-being of their baby. Fortunately, most women with fibroids are able to have a fairly normal pregnancy with vaginal delivery. However, fibroids are known to cause complications in some cases. 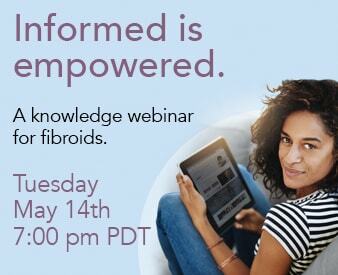 In general, the likelihood that fibroids will cause complications depends on the size of the fibroid and the location of the fibroid. Without a doubt, location is the most important factor, even more important than size. For example, a woman may have an incredibly large fibroid at the top of the uterus. Due to the location of the fibroid, it may not impact the pregnancy at all, despite the fibroid’s incredibly large size. Therefore, women should not automatically assume that fibroids, even large fibroids, will surely impact their ability to have a healthy pregnancy. Not all women experience difficulty with pregnancy due to fibroids. Sometimes, fibroids can raise the risk of a miscarriage in the first or second trimester. This is especially true of fibroids located in the uterine cavity rather than the uterine wall. There are a few studies that suggest fibroids may raise the risk of stillbirths, abnormal fetal position, preterm labor and delivery, and abruption of the placenta. However, there are just as many studies that suggest this is not the case. In general, the most serious complication that fibroids can cause with a pregnancy is when the placenta grows near the surface of a uterine fibroid. If this occurs, the presence of the uterine fibroid may cause the baby to be deprived of essential nutrients, so the baby might be born at a lower birth weight than normal. In more severe cases, the presence of the uterine fibroid may cause the amniotic sac to rupture too early. Fibroids are also known to be able to block the birth canal, which can complicate both the process of labor and delivery. Overall, women should realize that it is unlikely that their fibroids will negatively affect their baby in any way. Cases in which a baby is harmed or deformed due to fibroids are incredibly rare. For the vast majority of pregnant moms, fibroids are an annoyance. Will fibroids cause pain during the pregnancy? For some women, their uterine fibroids flare up during pregnancy. Pain is a very common symptom for these pregnant women. Those who experience pain from fibroids during their pregnancy should rest, use heating pads, or use a prescription or pain medication that is safe for use by pregnant women. If the fibroids of a woman grow exceptionally fast during a pregnancy, this can result in red degeneration. Some of the symptoms of red degeneration include severe pain, vomiting, vaginal bleeding, nausea, and even fever. A woman will feel this pain over the entire area where the fibroid is located. This pain may radiate down the entire back of the woman. While this pain typically appears during the second trimester, it can appear at any time during the pregnancy. If the pain from the red degeneration is incredibly severe, it might cause the uterus to begin to contract, inducing preterm labor. Women who experience this will likely be hospitalized or asked to rest in bed to wait for the signs of preterm labor to disappear. Many women have concerns about the possible effects of their fibroids on their pregnancy. If you still have any concerns about what to expect when you’re pregnant if you have fibroids, don’t hesitate to contact us for more information.